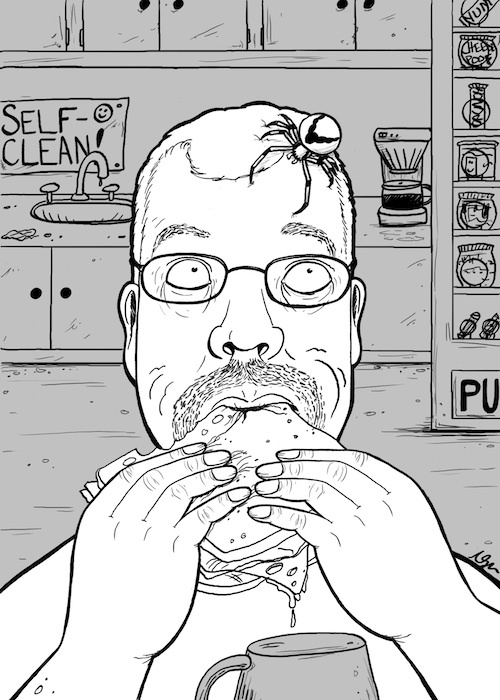 Spider on My Head: Day 4 | Kris Johnson's Blog…sort of. My favorite detail is the “Self-Clean!” sign above the sink. How did Natalie know about that??!? It’s my army of ninja spies… I mean… uh, doesn’t every office break-room have that sign?